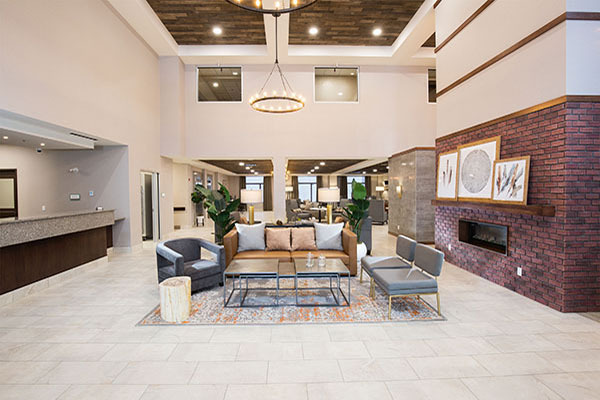 Strategically located with easy access to Highway 16 & 97 the soon to open hotel is poised to become the place to stay when in Prince George. We’ve got all the room you need to live. 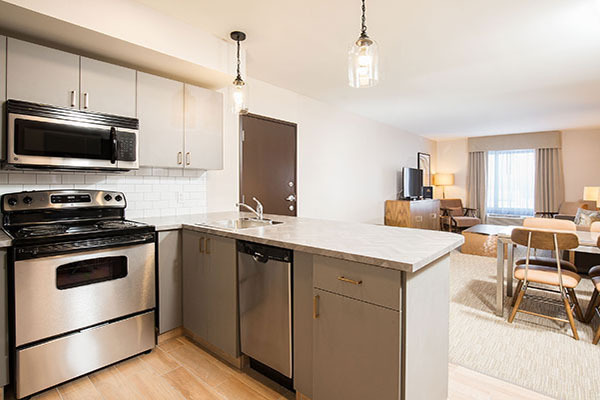 Our spacious fully equipped kitchen suites are ideal for extended stay, families or simply for when you are looking for more space to call your own and enjoy the freedom of preparing you own meals on your own schedule. 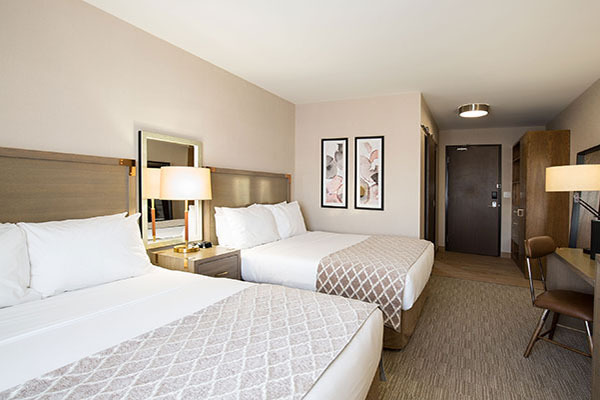 All of our 126 stylish suites and rooms feature ergonomic work stations, microwaves, mini-refrigerators, 42” HDTV’s, complimentary WiFi and Keurig Coffee makers. Kids of all ages will simply love our 12,000 sq. ft. state-of-the-art water park featuring a pool, hot tub, waterslides and children’s splash pad. Our fitness centre is open 24hours to accommodate your schedule. 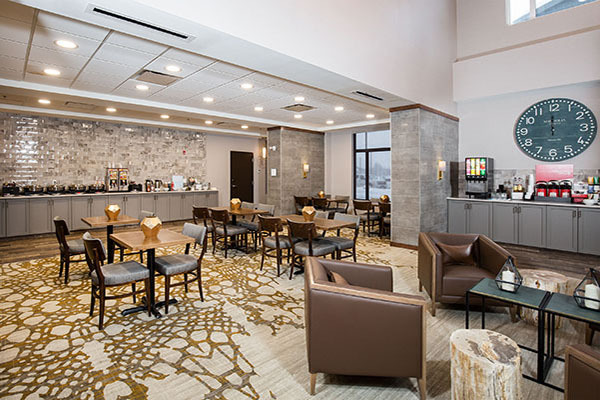 The Pomeroy Inn & Suites features 1,600 square feet of versatile meeting space; perfect for receptions, seminars, luncheons and more. Our on-site banquet facility is equipped with modern audio/visual equipment and can be configured in a number of different setups to suit your needs. Enjoy unique touch points to exceed and truly make your trip more enjoyable and hassle-free. 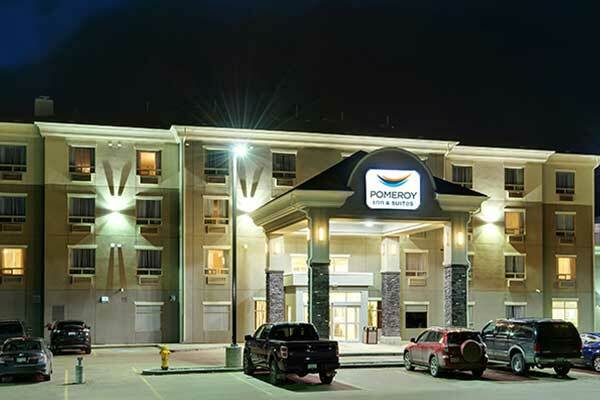 Simply enjoy and relax – It’s all included at the Pomeroy Inn & Suites Prince George. 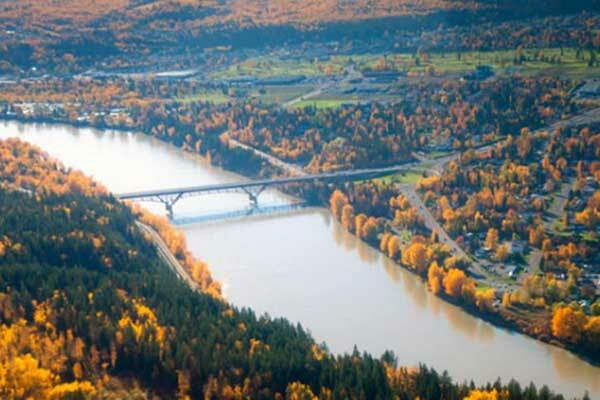 Prince George, where urban sophistication and spectacular wilderness live distinctively side by side. Prince George is the only community in northern BC that offers the amenities and benefits of a thriving city within mere minutes of beautiful, pristine forests.